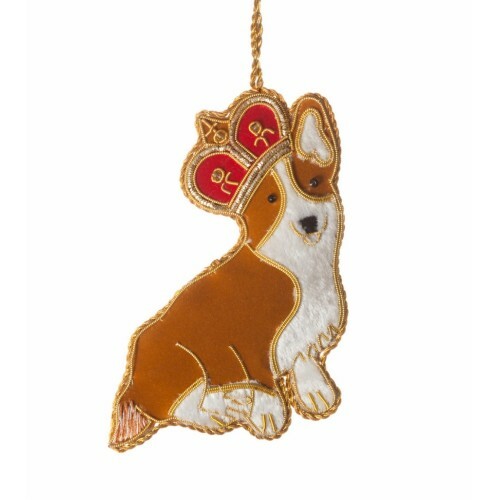 In honour of the Queen Elizabeth's II favourite pet, our Corgi decoration sports a red crown. 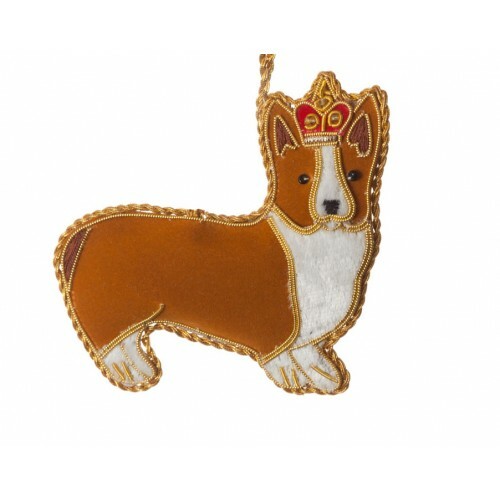 Can't decide between our sitting and our standing Corgi? Have them both - woof! 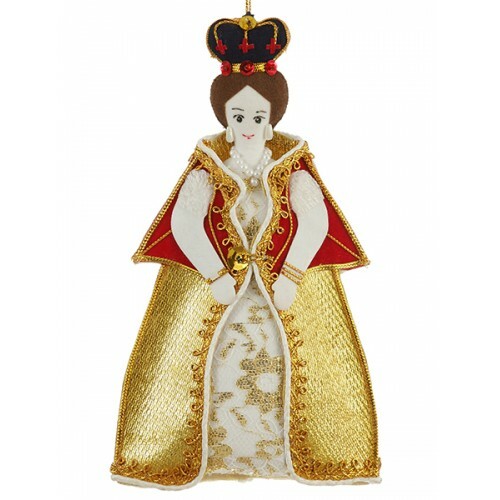 Large and resplendent in gold and red, our Queen Victoria was Britain's longest reigning queen and w.. Looking for an elegant souvenir of your visit to London? Look no further! 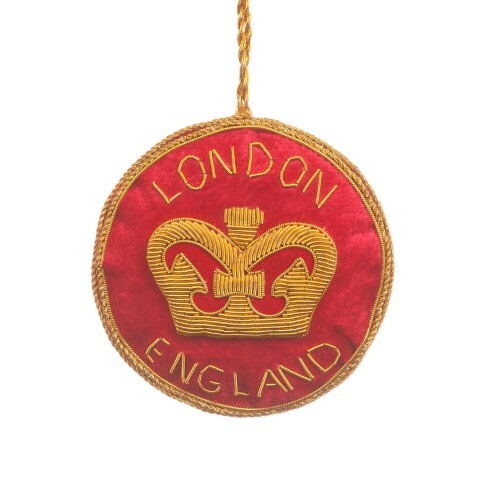 Our handmade velvet rounde..
Adorn your Christmas tree with Queen Elizabeth's II loyal companion. Can't decide between our sittin.. 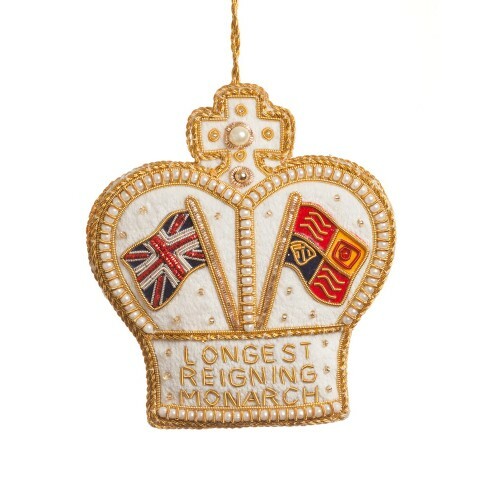 Celebrate HM Queen Elizabeth's long reign with this suitably regal Crown ornament, embroidered with ..